PS. 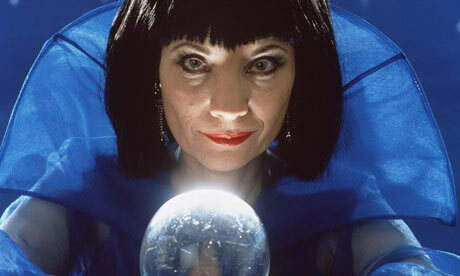 Couldn't resist the picture of Mystic Meg. Do you remember her or am I showing my age now? Thanks. Settling in here fine. My lists haven't failed me yet as I haven't thought 'oh I wish I had X' yet. I'll introduce my new team gently to my filing / neat freak tendencies. Don't want to scare them off too soon!